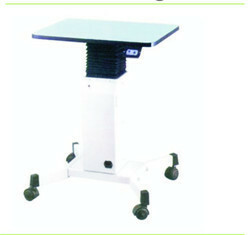 We are manufacturer and exporter of Medical Equipments Stand. Vertical Traveling Range 200 mm. Table Top Size 570x, 400x, 24mm. Power Supply Ac 220/110V, 50/60 HZ. Weight (Actual) By Rotating Wheel Manually. Up & Down movement By Feather Touch Switch. Cylindrical drip chamber with and without vent provided to prevent passage of any clot into the patient. 18 G needle for smooth flow. Molded rubber with filter flash ball for extra medication. Luer lock connectors also available. 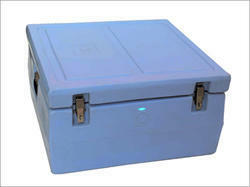 We are offering a wide range of Cold Boxes. Vaccine storage capacity : 15.0 ltrs. Volume of Ice pack : 0.40 litres. Cold life requirement as per WHO at 43 degree C +-1 degree C without opening. : Min. 48 hours. Actual cold life without opening at 43 degree C +-1 degree C as tested by WHO approved testing lab, PSB, Singapore : 80 hours (In house test). We bring forth to our clients high quality Automatic Autoclaves. 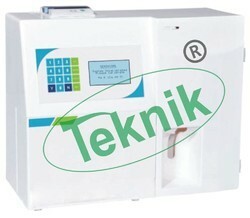 which is a bench type vertical autoclave, compact in size and is best suited for all clinics. 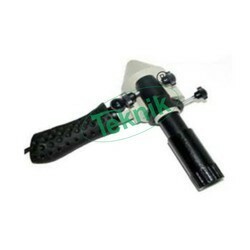 Provided with the handles and a release valve knob and the housing of it is made of using premium grade nylon material that facilitates the griping. It is provided with an energy saving heater for automatic switch on/off and for maintaining the temperature inside the vessel. Easy to operate without hassles. 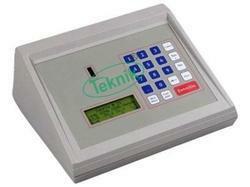 Provided with electronically controlled panel along with programmable integrated circuit chip. Temperature sensing is directly done through R.T.D. Body that is made of aluminium sheet without joints. 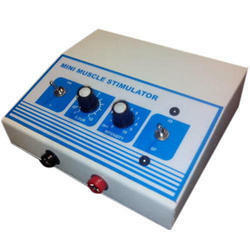 Diagnostic Muscle stimulator is useful for treatment of muscle weakness, functional paralysis resulting from Traumatic Neurosis, Hysterical of Neuropraxia, Flaceed Paralysis, Spastic Paralysis, Cardio Vascular disorders, Muscle trains etc. The Diagnostic Muscle Stimulator with Glavanic, Interrupted Galvanic, Faradic and Surge faradic currents comes in a compact metal housing duly fitted in a briefcase along with standard accessories. This device can also be used to plot S.D. curve due to its multi step frequency and duration of pulse width. Input Voltage : 220V AC 50Hz. Maximum output 120 Volts, smooth intensity control. Pulse Width: 10 micro/sec. to 300 milli sec. Pulse duration step control .01 to 300 milli sec. Frequency: 6 Pulse per min. to 30 pulse per min. 1 pulse/milli sec. to 100 pulse milli sec. Surge Faradic Two isolated controls are provided for changing contraction & rest period. Intensity Common intensity control for all four mode of therapy. Mode Selector Logic selector for selection of each therapy mode. An analog meter is provided for display of intensity for all four modes. The temp controlled unit is operated by advanced micro computer technology. The three digital display indication provide the Set Temperature, Air Temperature and Skin Temperature. Two function control modes provide the clinician more flexibility while optimizing the thermal environment. In addition the skin temperature is display is larger than the set/air temperature display. The removable heater and control unit make it easy to clean and service. Full visibility & accessibility of the baby is provided by the designed of acrylic hood. Skin Temperature display can be converted from C to °F by push of a button. A big LCD Is provided for more specific information & visualization of the heater power in different modes. 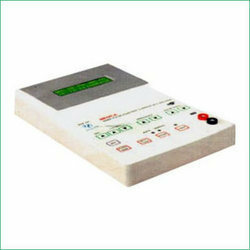 The High & Low Temperature alarm setting can be adjusted according to the patient condition. 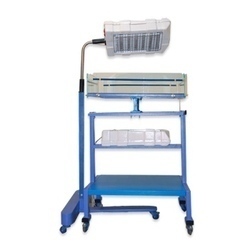 Humidification is provided with the help of two water trays provided at the back of the unit. Three side trays provided at the bottom of the unit to keep consumables. The unit rests on four big castors with brakes in the front castors. 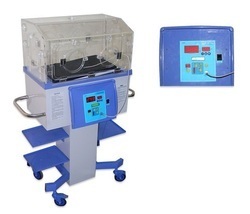 The Baby Incubator with Skin and Air control system offers highest safety and optimum comfort for the new born. The controller is based on Micro computerized system. Large bright displays are easy to monitor and for viewing from a distance. Feather touch keys provided for easy operation. Bar graph LED system provided to indicate the heater output. 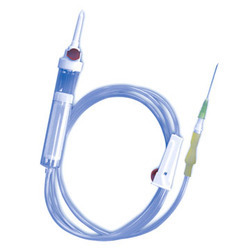 Baby probe / Air probe is made of highly sensitive sensor and interchangeable which does not need field calibration, the probe is made up of silicon sheathed cable, which allows easy cleaning. Hygrometer provided to indicate the relative humidity in the baby compartment. Infant warmers allow you to efficiently care and provide advance warming capabilities while using one touch erations to simplify procedures. Immediately after birth the new born baby experiences some degree of thermal instability as it comes from the mother’s womb which has stable environment, to the cooler environment of the delivery room.Infant Radiant of warmers promise error free, comfortable and secure treatment of the new born. Deep sited pain, sports injuries, pain of rheumatoid arthritis, pain of osteo arthritis, pain of osteo arthritis, miscular weakness etc. Digital timer with alarm which cuts off when display read zero. Dual intensity display i.e. CH-1 digital display and CH-2 LED display. 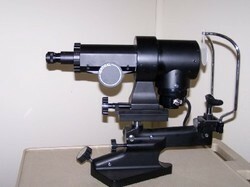 A keratometer, also known as a ophthalmometer, is a diagnostic instrument for measuring the curvature of the anterior surface of the cornea, particularly for assessing the extent and axis of astigmatism. Injection port for supplementary medication. 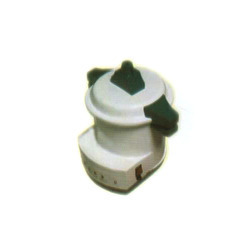 Automatic shut off valve ,micro dropper, flexible drip chamber. Sharp pierecing spike provided with build-in air inlet containing bacteria barrier filter. Y injection sites for extra medication. We are reputed Open Care System manufacturers, suppliers, producers and exporters of Open Care System.Open Care System are designed to provide advance warming capabilities while using one touch operations to simplify procedures. A big LCD is provided for more specific information and visualization of the heater power in manual and servo modes. Advance microprocessor controlled system with self check on the electronic circuitry skin/air/manual control. Digital display of baby temperature /air temperature. Soft touch display of control temperature. Manual/ servo two function control modes provide the clinican more flexibility while optimizing the thermal environment. In addition the skin/ air temperature is larger than the other set temperature display. Skin temperature can be converted from oC to oF by the push of a button. The system automatically converts from servo mode to manual mode in case of probe failure thus providing non stop working of the unit. The spacious baby bed incorporates easily drop down sides for maximum access to the patient with terendenlenberg & reverse terendenlenberg position. 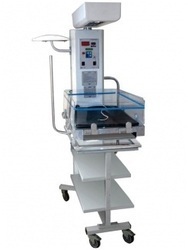 The Single Surface Phototherapy Unit provides the facility of height adjustment, to fit over an incubator or baby cot etc. In addition, the Single Surface Phototherapy Unit also has the fold up facility during inspection of neonates or storage. 6 nos. of white light tubes with the facility to use 4 or 6 tubes at a time. 4 nos. of blue light tubes with higher intensity of light in therapeutic range and 2 nos. of white light tubes. The suction devices consist of special stainless steel tube with a ribbed/mini tip & ergonomically designed handle. E.T.O.Sterile & Pyrogen Free. 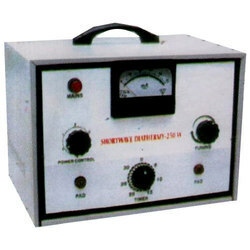 We offer Short Wave Diathermy Machine that is widely appreciated for its consistent performance and durable service life. These are engineered utilizing latest technology and ensure excellent results in relieving pain, reduce swelling and promote healing in the ailing portion. We offer these smart solutions at industry leading prices. This is simple but versatile, compact size, light weight and extremely easy to use utility. This is the most user oriented solution metting in every respect the requirement of visiting physiotherapist for home visit. Operating Frequency: 27012 MHz (approx.). Power Output: 250 watt of R F.
Dimension (WXDXH) mm: 380 x 285 x 280 m.m. Mains Supply: 20 Volts AC. 50Hz. Wave Length: 11.06 meter (9 apporx.). R.F. Source: Vacuum Generating Valve. Our state-of-the-art infrastructure is backed by a team of skilled engineers, helping us in manufacturing and exporting Swab Rack. 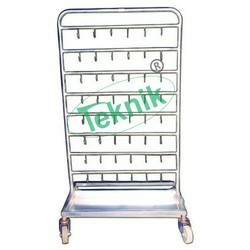 These racks are used in hospitals and medical institutions for holding swabs including transwabs. To manufacture the rack, we use best quality stainless steel, sourced from the most authentic vendors of the market. 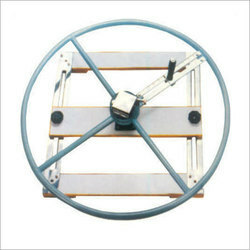 For easy movement, we have attached cater wheels with Swab Rack. We offer the rack at the affordable prices. Overall Approx. Size: 137 H x 76 W x 46 D cms. frame work of SS tubes mounted on 10 cms Dia Castor. Eight Rows Six Hooks in each Row. SS tray fitted on Bottom side. Tubing Organizer is manufactured from polypropylene plates . Plates are provided with different size of holes for the proper placement of tubing during surgical procedures . E.T.O. Sterile & Pyrogen Free. Wall mounting heavy duty shoulder wheel constructed with calibrated resistance mechanism, resistance can be controlled from zero to maximum. 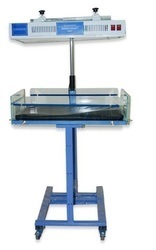 The 360o scale enables degree of revolution to be read from either direction. Arc of motion can be varied. Fitted with a chromium plated adjustment bar to raise up and release down to wheel as per height requirement of different patient. Provision for adjustment of arm length is provided. 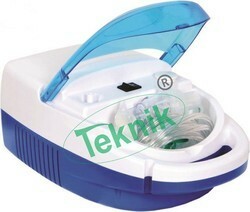 Wee are engaged in offering Nebulizer Machine. 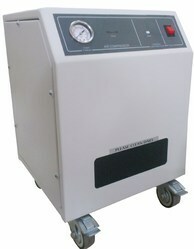 This nebulizer is tested from our end on numerous parameters so as to dispatch a defect free range. Offered nebulizer is developed at our premises utilizing quality tested material, in conformity with set industrial norms. 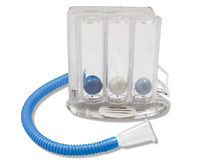 Our offered nebulizer is accessible in different stipulations as per the needs of the patrons. 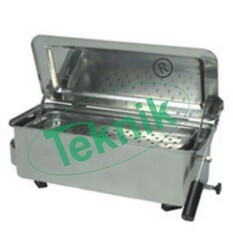 Instrument Sterilizers, electric, with hinged lid fitted with immersion rod and water outlet tap, seamless stainless steel construction. Fitted with automatic cutoff safety pin device, thermostat & tray lifting arrangement. 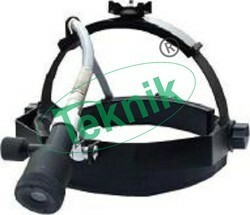 Our clients can avail premium quality of Direct Halogen Spot Light from us. Those are made by as per the requirement of client. The offered products are manufactured by a well-qualified team of engineers in conformation with the norms and standards of industry, at our vendors end. We are engaged in offering Direct Halogen Headlight. Iris preventive regulates diameter of Light Spot. The Halogen illumination of the lamp bring out an optimal light intensity which may be regulated by a strap. The practical plastic design offers easy manipulation due to low weight. Head may be exchanged without removing the headband. 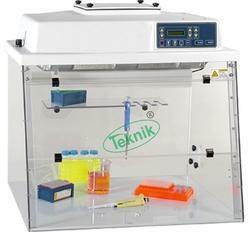 The Serum Inspissator is made of Stainless Steel triple wall jacketed inner chamber. Mild Steel sheet with powder coating. The temperature is controlled by a thermostat with range from Ambient to 95o centigrade. The unit can hold 100 Media tubes. Compact, Economical and Easy to use. Long life, high performance, maintenance-free electrodes. Automatic sampling, probe wiping and calibration. 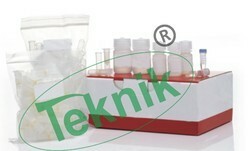 Intelligent reagent pack with electronic chip. Extremely low cost per test. Principle Direct measurement with lon Selective. Sample 120 μL for Whole Blood, Serum. Plasma 700 μL for diluted (1:5) Urine. Data Storage 100 Patients result QC - up to 30.
results of Normal, Low, and High each. Output 128 x 64 Graphics Display With Yes/No. Numeric Keypad 24 column thermal printer USB port. non-condensing humidity. Input voltage 100/115~VAC, 50-60 Hz. 220~VAC, 50-60 Hz, 0.75 amp. Battery Option Built in Lithium Ion Battery with Power. 5* acrylic parts for making a 7*7 cm UV transmission gel tray. The gel has slots for positioning 1 or 2 combs. 13* acrylic parts for making an electrophoresis chamber. 2*banana plugs, nuts and washers. 2*8 well combs. The kit comes with pre-assembled combs. 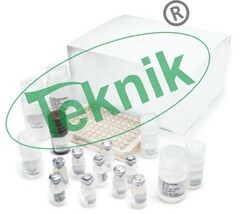 Animal tissue (up to 50mg). Rodent tail (up to 1cm). Eukaryotic cells (up to 5 x 106 cells). Fast protocol: 15 min after lysis step. Clear, easy to follow instructions. High purity DNA: A260/A280 – 1.7-2.0. Time required: 15 minutes after lysis step. Binding capacity: Approximately 100μg DNA. Typical A260/A280 ratio: 1.7 – 2.0. 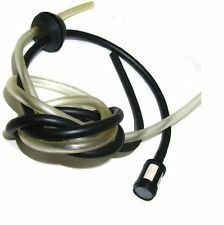 Standard accessories consist of plastic coated handle with cable, Ball electrode, one patient leeds with plate electrodes and Rexene Cover. 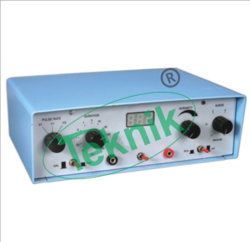 This compact transistorized unit is useful for treatment of muscle weakness, functional Paralysis resulting from Traumatic Neurosis, Hysterical of Neuropraxia, Flaceed Paralysis, Spastic Paralysis, Cardio Vascular Disorders, Muscle Strains etc. This Therauptic Muscle Stimulator with Galvanic, Interrupted Galvanic, Faradic and Surge Faradic currents comes in a compact metal housing with foam Rexene cover and with standard accessories. 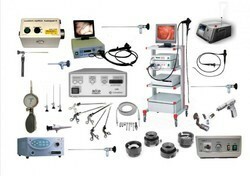 We offer a wide array of medical equipment which is reckoned for their reliability and accuracy. 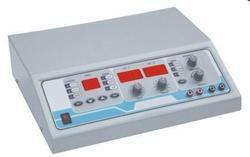 Our range of ECT machine is approved and accepted by the medical fraternity. These are trusted as they give accurate results during operation and other activities. CFL Provides the light intensity of 18 pw/cm2/nm approx at 45cm from Baby cot. Choice of 6 Blue or 4 Blue + 2 white CFL lamps for treatment and inspection. Height 120 cm to 160 cm from the base. Head Tilting Facility from-1800 + 1800 (Continuous). 3 swivel castors fixed on sleek T-shaped base. Powder coated scratch and rust proof body. Special mirror Coated Reflector For better reflection. 3 chamber pf 600,900 & 1200 cc/sec inhaling volume. Three colour coded balls for easier identification of inhaled capacity. 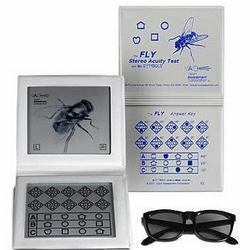 Stereo Acuity Test Kit that are specially designed for the purpose of various medical diagnoses. Available in different models, our kits are mainly used for rapid test of amblyopia and strabismus using gross through some fine stereopsis. In addition to this, we provide tailor-made solution for all the products as per the specifications laid down by the customers.